The start of the Race Across America (RAAM) is only 87 days away. Subtract time at the end for recovery and there are less than 60 training days left before the start of the race. The next 60 days will be the most intense; all the work I have done over the past 6 months has been to prepare me for these 60 days. The remainder of my training focuses on long weekends, made up of back-to-back endurance rides. This weekend, I have ‎42 hours of training scheduled…three 14 hour days on Saturday, Sunday, and Monday. 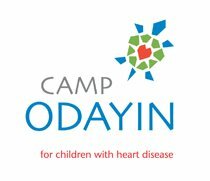 As part of my RAAM effort, I am raising money for two great causes, Special Olympics New Hampshire and Camp Odayin, a residential camp for children with heart disease. Unfortunately, while the RAAM start line is very close, reaching my goal of raising $25,000 for these worthy causes and the race is still quite a long ways away. SO...while I pedal away for 42 hours this weekend…I ask you: can you provide a tax-deductable contribution? Great or small, your efforts will radiate smiles and happiness in the hearts of these kids. This is their chance to enjoy the simple pleasures that have blessed our lives. Your help will make a difference! You can donate by sending a tax-deductible check payable to “The Silent Sports Foundation” (EIN# 20-8971676) to my attention at 19 Franklin Rd, Salisbury, NH 03268, or by clicking on the Donate link to the right of this post.